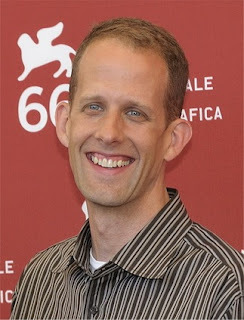 The name Pete Docter might be familiar to you - that's because he's one of the absurdly talented folk at Pixar, writer on the first two 'Toy Story' films, and the director of 'Monsters Inc.' and 'Up'. Slashfilm brought his student film to my attention. 'Winter' displays a certain Calvin & Hobbes feel. The short looks at an enthusiastic child nagging his parents to go and play in the snow before being suffocated (metaphorically!) by winter wear. Watch the embed below. Docter is currently working on a "top secret" project that supposedly isn't 'Monsters Inc. 2', which is scheduled for release in November 2012.